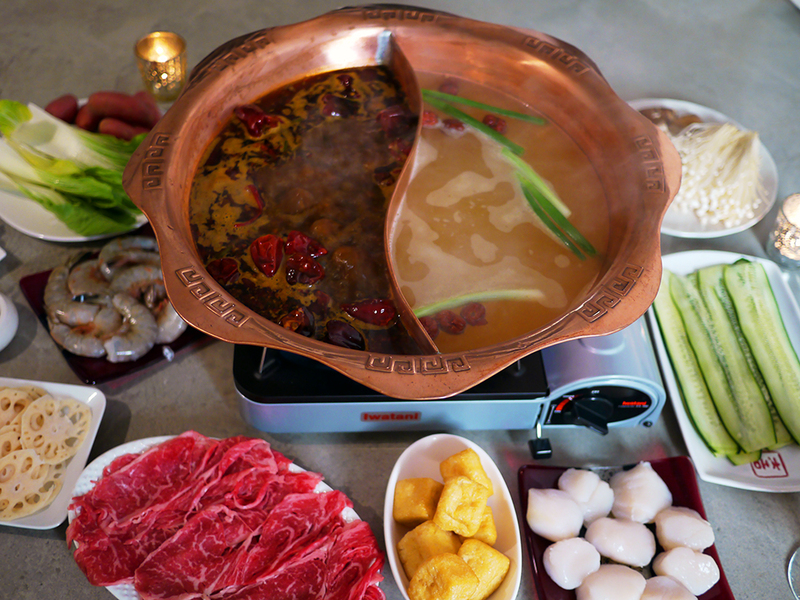 We've often voiced our enthusiasm for Sichuan-style hot pot, and we know many of you share it. 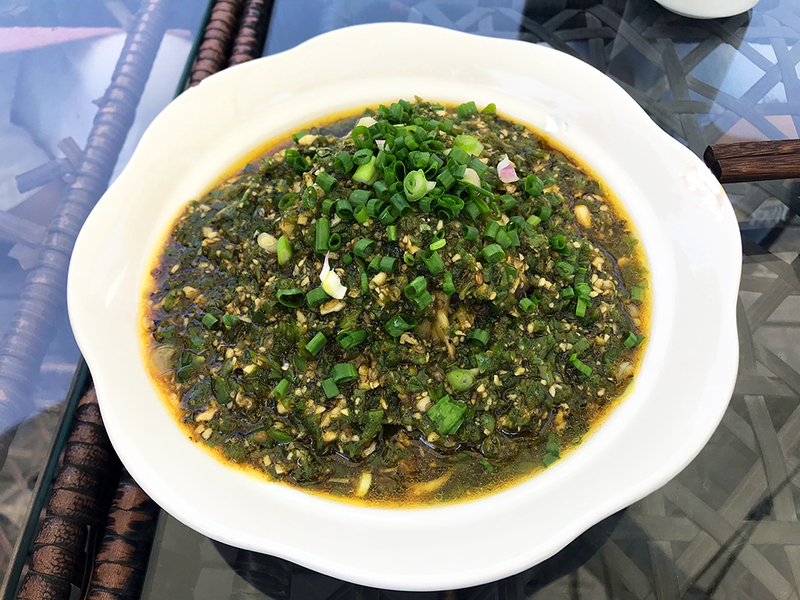 It's becoming increasingly easy to have real mala huo guo in Sichuan restaurants across the U.S., and with the growing availability of hot pot ingredients and readymade soup bases it's also becoming easier to have the real deal at home. Now we intend to make it even easier—and classier—to do home hot pot with our new copper yin-yang pot. Over the past few months, we've been importing and testing different styles and makes of Sichuan-style pots, and we have found a clear winner. Not only does it remind us of those used in upscale hot pot restaurants (check out these, as an example), but it ticks off every box for home use as well. If you too are a serious hot pot enthusiast, then forget about those flimsy stainless-steel ones with the wobbly shape, leaky divider or unsightly cord. This pot is gorgeous, efficient and built to last—use it for life then pass it on! Or, just as good, get this hot pot for Dad (Father's Day is June 17), and wait for him to pass it on. Ha ha! Dad might also like to be gifted a trio of Lao Gan Ma products, now that we have The Godmother's spicy pickle back in stock. Or, as always, our Starter Mala Collection can start anyone on the road to real Sichuan cooking. As a small gift to you, I am starting a new feature in the newsletter that rounds up the most interesting news and views from the wider world of Chinese food. Sichuan food is exploding in popularity across the country, so there's a lot to know and learn. Finally, Happy Mother's Day from the mother-daughter team at The Mala Market! We hope your spring celebrations—Mother's Day, Father's Day, graduations, weddings—are spent eating with the ones you love. Learn more about this pot here. If you go to Chengdu's Carrefour supermarket and stand in the hot pot soup aisle, bewildered by the dozens of choices, the nice saleswoman will direct you toward the Huang Cheng Lao Ma line of soup bases, explaining that they are the best. Huang Cheng Lao Ma is one of Chengdu's most famous hot pot restaurants, and its spice mix for mala huo guo is also famously good. 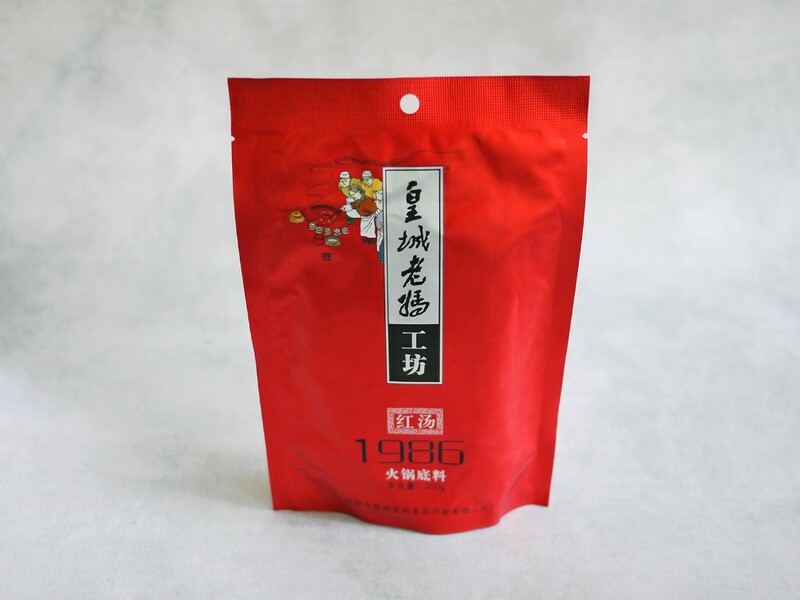 It is a mixture of doubanjiang (chili bean paste), vegetable oil and numerable spices that is pleasurably hot and numbing but not overly so. (If you want torturously hot and numbing, go for a Chongqing-style hot pot base.) All you do is add water, and Go! 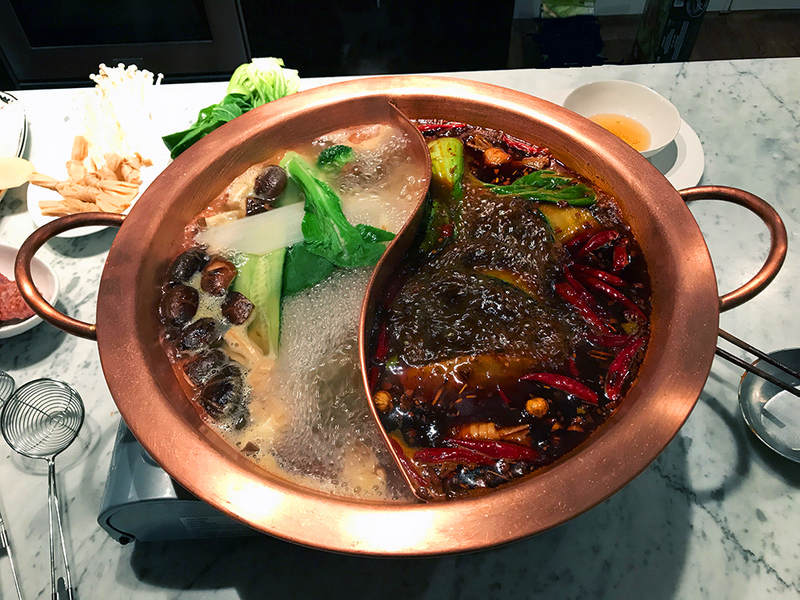 I provided the recipe for home hot pot (link above), and in a related article Jordan Porter of Chengdu Food Tours explains how hot pot is done in Chengdu, where it is as much about the camaraderie as it is about the food. Family and friends gather around the hot pot whether they're celebrating an important life event or just a Friday. 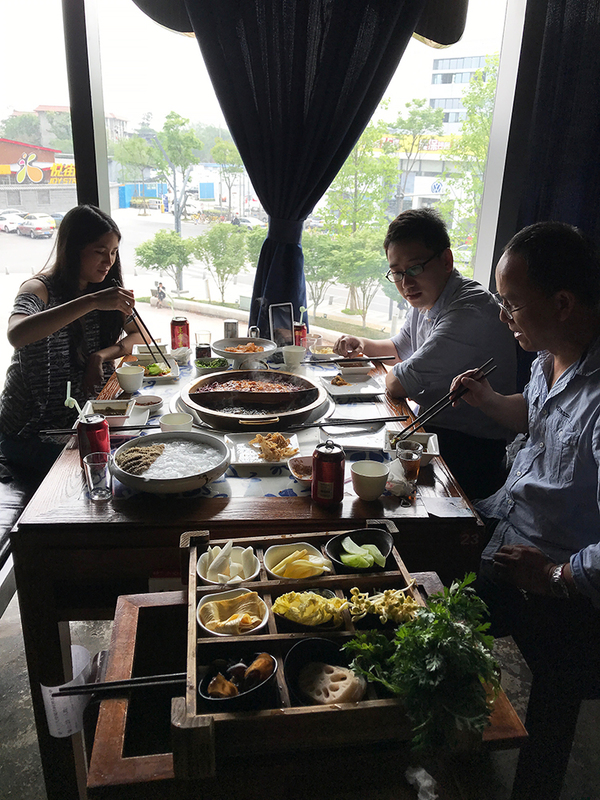 As Jordan says, "It is a party and a meal, an integral part of socializing, and a manifestation of the epicurean excitement Sichuan embodies." In non-hot pot news, we have recently brought back a favorite to the shop. 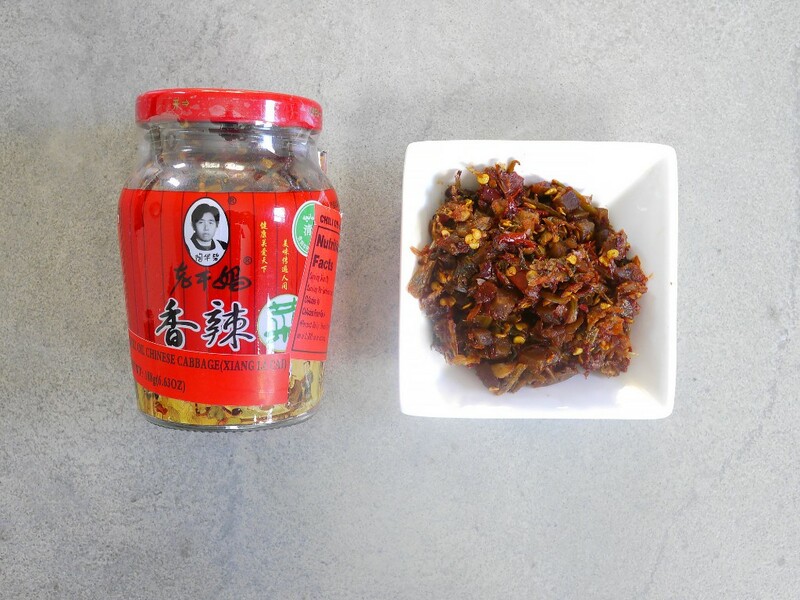 As popular and widespread as Lao Gan Ma chili oils are becoming, it is still hard to find The Godmother's delicious xiang la cai pickle in the U.S. We have finally been able to source some again, and your congee, noodles, rice and more will thank you for the addition of this lively, super-spicy pickle of cabbage and chilies. Combine it with bottles of The Godmother's Spicy Chili Crisp and Chili Oil With Black Bean for a trio of spicy goodness. Because I really love it when my favorite newsletters provide links to their favorite recent articles, videos and podcasts, I have decided to do the same. Here's my first list. In this article, wok (and cleaver) guru Grace Young gives a lesson on the proper usage of the cai dao (vegetable cleaver) to a writer at Epicurious. The videos of the knife techniques are super helpful. The myths and lies about MSG are efficiently debunked in this 5-minute video that trots out science to prove that this concentrated umami, ingested in normal quantities, never has and never will hurt you. The L.A. Times Food Bowl (an ambitious month-long food festival) held a Sichuan Summit last weekend in which famed San Gabriel Valley restaurants made the food and Fuchsia Dunlop and Chengdu Chef Yu Bo gave a talk and demonstration on his rarified Sichuan cuisine. We provided some Sichuan pepper samples for the event but, sadly, could not attend. Lucky for us—and you—our favorite podcast, KCRW's Good Food, interviewed both Fuchsia and Jonathan Gold about it and their thoughts on the difference between Sichuan food in China and in Los Angeles. Explore Parts Unknown is the website component of Anthony Bourdain's iconic CNN show. They are building quite a collection of written work on each place/episode and they recently tackled Chengdu. A piece I previously wrote about Sichuan pepper is included here. But perhaps you haven't read Jordan Porter's piece on The Perfect Day in Chengdu, which revolves around—you guessed it!—eating, or Jenny Gao's thorough rundown of just what Sichuan food is and is not: "In China, Sichuan food is known for its complex and sophisticated canon of tastes. In the West, it’s invariably known for only a few dishes and face-melting heat and spice—a reputation that grossly underestimates the cuisine." I recently did a profile of one of Chengdu's most interesting restaurants and restaurateurs on the blog. While almost all Chengdu restaurants cook with local ingredients, not all are able to use traceable, sustainable ingredients, and even fewer make as many ingredients as they can from scratch. Ying Garden is run by sisters who make not only their own doubanjiang but also sausage, bacon, beef jerky, spice blends, stinky tofu and unique fermented rice wines. Owner Nancy Xiong generously shared their recipe for a cold dish of steamed eggplant with roasted green er jing tiao chilies, cilantro, green onions and green Sichuan pepper oil. Since then I have gone on an Instagram binge with photos to prove my point that Sichuan does green food as well as it does red. Hot pot in the summer? Yes! Sichuanese will tell you that chili heat draws out internal dampness, makes you sweat, and cools you down. Plus, there's nothing more fun than al fresco hot pot!